Are you looking for child behavior help for problems, such as aggressive behaviors in children or temper tantrums? You have come to the right place! When you are dealing with behavioral problems, it can be very frustrating, but there are some very simple tips that can help prevent and decrease incidents of these "meltdowns" and even symptoms of ADHD as well. It may require some effort on your part, but after applying the following strategies you WILL notice a difference! The best approach is prevention. If you are in the middle of a crisis due to misbehaving, attempting to apply these at that point is like stopping a car that is ready to crash. You may be able to minimize impact and slow down, but it is so much better to just drive safely from the beginning. 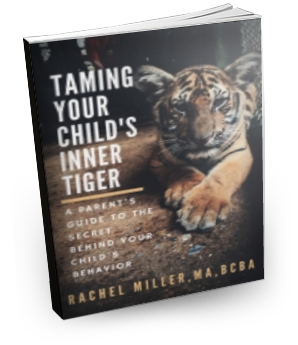 If you haven't already, be sure to download my eBook with additional child behavior help, for a more in depth discussion of these techniques and more. The following is an abbreviated summary of the proactive strategies used to prevent bad behaviors in children. I would recommend you start by ruling out any underlying conditions if you haven't already. The following assessments will allow you to look at any displayed symptoms to see if there may be something else that requires additional treatment. Establish a consistent daily schedule, so they know what to expect each day. If needed try using a written schedule or picture schedule to help with understanding of scheduled events. I personally love the App called ChoiceWorks, which can be found on iPhones or iPads for a small fee. It allows you to create different schedules for different times of the day, such as a morning routine or an after school routine. When activities are finished, you can move the picture icon from the left side to the right. Establish a consistent sleeping routine. Making sure your children are getting the recommended amount of sleep for his or her age as indicated by the national sleep foundation is SO important for helping with behaviors. Getting less sleep than recommended can lead to symptoms of ADHD, attention and memory difficulties, and tantrums or meltdowns resulting in a need for child behavior help anytime sleep has been affected. You may need to include a bedtime routine of taking a bath, dimming the lights, soft music and reading a book to help the transition to sleeping at a decent time. 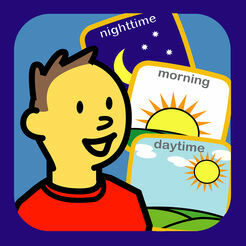 It is recommended that most younger kids go to bed between 6:30p-8:30p. Sleep begets sleep, so believing that keeping them up later will help them sleep better through the night is actually a myth. If they become overtired, they are more likely to have difficulties sleeping through the night and falling asleep due to cortisol released in the body from the stress of not enough sleep requiring a need for child behavior help. Make sure they are getting enough vitamin nutrients. Most food today does not supply enough vitamins or omega-3 fatty acids, especially for kids that are picky eaters. Look for an all natural (no artificial colors or flavors) vitamin with whole food concentrates and DHA. Symptoms of ADHD have been linked to a deficiency in Omega-3 fatty acids. Barleans Fish Oil is my favorite! It tastes SO good and the kids love it too! We also use Animal Parade as our daily multivitamin. You may want to get a nutritional assessment just to be sure that they aren't lacking in any specific nutrients including Vitamin D which could be an underlying cause as well. Avoid foods with artificial coloring, especially red dye 40. Parents have reported sudden irritability, hyperactivity, aggression and additional needs for child behavior help after consuming food with red dye. These are often hidden in unsuspected foods, so be sure to read labels. Rule out any allergies or side effects from medications as a possible cause for challenging behaviors that may be occurring after the food is eaten. I once worked at a daycare facility where this little boy would act irritable and engage in tantrums after eating peanut butter. He had no other symptoms, but when an allergy test was done, it was determined he was very allergic to peanut butter. Spend at least 15-30 minutes of one on one quality time with your son or daughter every day doing what they want to do. This will help to avoid attention seeking behaviors and improve your relationship with one another. Rapport is extremely important in getting your kids to listen to you. Finally, the ability to communicate is extremely important. If unable to communicate vocally, try using pictures or sign language. You want them to be able to tell you when the need an item, are in pain or have other desires that they are trying to accomplish through the behaviors they are displaying. It's fairly easy to go online and use clip art OR images from google to add to a sheet of paper you can print off. Depending on their skills, start with 2-6 pictures at a time and begin having them point to the pictures prior to giving them the wanted item. I usually start with a picture for food, drink, toy, etc focusing on their basic needs first. You may also have them drink through straws or work on blowing light objects such as pom pom balls across a table, to increase muscle strength in the lips for better vocalizations if they currently make sounds that do not make sense. Also, hold objects by your mouth when stating their name to encourage your son or daughter to look at your mouth to learn how to pronounce the words. When the previous strategies are in place, you may consider using printable reward charts or chore charts to monitor progress and provide positive reinforcement. When used in combination with one another the information provided will make a world of difference in your son or daughter. It may require some commitment on your part to apply, but I promise that the rewards will far outweigh the cost. After these are in place also be sure to check out more detailed child behavioral help for specific behaviors.